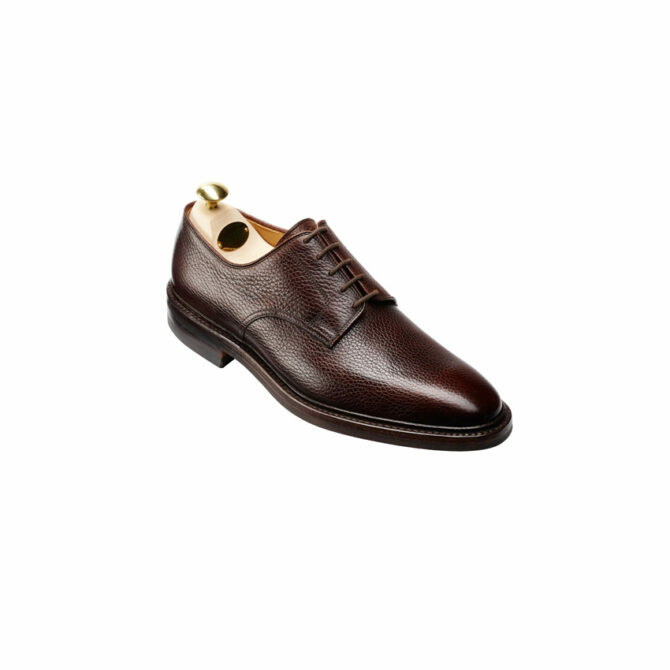 The Crockett and Jones Brown Ashdown Derby is a very dark Brown Country grain tie. Storm welted with dainite studded sole and heel, fully leather lined shoe. Ashdown, a plain fronted derby shoe, made from the finest country grain leather and featuring a storm welt with studded Dainite rubber soles. From the Crockett and Jones Men's Main Collection. Ashdown, a plain fronted derby shoe, made from the finest country grain leather and featuring a storm welt with studded Dainite rubber soles. From the Crockett and Jones Men’s Main Collection. I would wear these when travelling for business, to trade fairs in Europe or around the world. The dark brown Crockett & Jones Ashdown look great with denim eans of classic khaki cotton drill trousers. 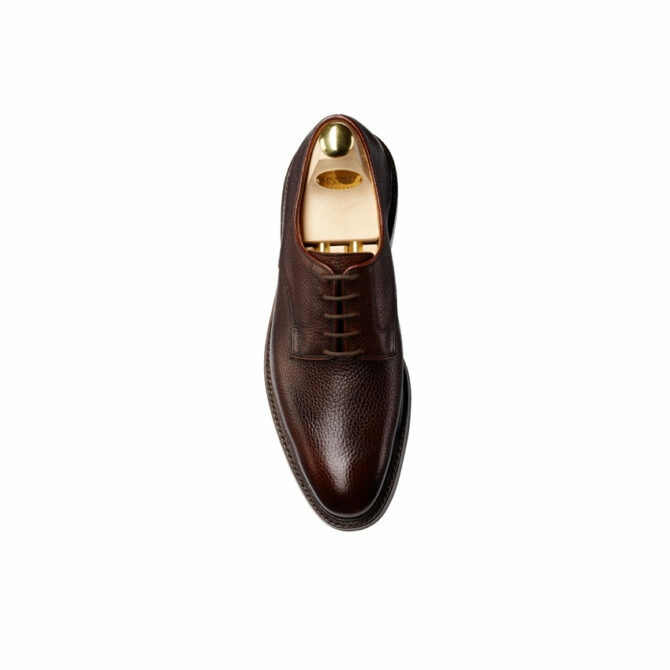 Also look at Crockett and Jones Grasmere Tan Derby which is equally as popular.